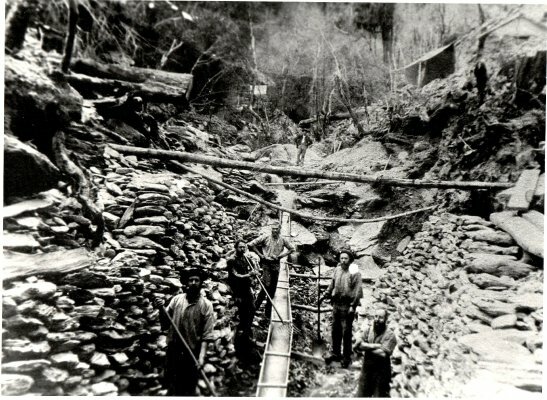 Description A black and white photograph showing a group of miners around a sluice box in a gold mining claim. Information as typed by Norm Brayshaw: "An early claim in the Wakamarina, this is possibly the Deep Creek area." Copied by Norm Brayshaw in 1960 from a photograph held by Mr. Reader, Dashwood Street, Blenheim. Includes a negative.